Whether you are replacing a door, or changing doors throughout your house, you may find yourself debating both practical and aesthetic considerations. These guides can help you evaluate function and form in order to select doors you'll adore. Nothing needs a square deal like a door. The framing must be plumb and square, if the door is to swing free and easy and be squeak free. This guide tells you how to frame a door and, if you have a squeak, how to fix it. 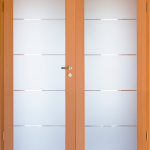 Evaluate the options for your doors' appearance, from plain to multi-panel, to doors with lights (glass), or special carvings. Review design alternatives and identify your preferred door style. 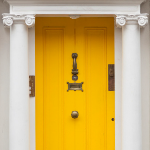 From front entry doors to mud room entrances, exterior doors are not only important architectural elements but are also significant when it comes to home protection. 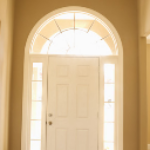 Consider front entry door options and the strengths and weaknesses of each. Much of your first impression about a door hinges on its hardware, from solid, smooth hinges to a firm doorknob and latch. 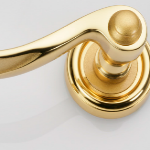 This guide examines what to look for in door hardware. A door's finish might be an afterthought, but it shouldn't be. 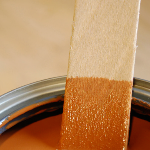 This guide provides instructions on how to properly finish your door, whether interior or exterior. From an extravagant door in your main entry to a cubbyhole closet in the basement, the purpose of the door may tell you a lot about what kind of a door you need.